Successful entrepreneurs come in all stripes. Each story is an inspiration for other small business owners who hope to reach those same pinnacles of success. For women who are involved in starting their own companies, there are certainly prominent role models to learn from. Here are 5 great women entrepreneurs who succeeded against all the odds. As the founder of The Body Shop, Anita Roddick has turned a passion for environmentally safe cosmetics into a global phenomenon. Roddick created her first line up of products from ingredients she had in her home. There were only 15 products in her first shop and she needed to put part of the small restaurant and hotel she and her husband owned up as collateral. From that first store, The Body Shop now boasts 1,980 retail outlets with over 77 million customers around the globe. Using the success of The Body Shop as her platform, Anita has managed to become a leading social activist campaigning in support of human rights and the underprivileged around the world. Sales were always a part of Mary Kay’s life. While her husband was serving overseas in WWII, Mary Kay sold books door-to-door and racked up an amazing $25,000 in sales in just six months. When her husband returned, they divorced and Mary Kay went on to work for Stanley Home Products becoming one of their top sales directors. Upon her retirement in 1963, Mary Kay decided to start a new business. She invested $5,000 of her life savings into a 500 square foot store in Dallas. This was the start of sales empire that has grown to over 350,000 beauty consultants all working under the Mary Kay Inc. banner generating over $1 billion in sales. While it is true that Oprah hasn’t necessarily created a product or opened a retail store, she is still considered one of the most successful entrepreneurs of all time. Starting out as a local news reporter in Baltimore, Oprah went on to star in her own talk show. Over 18 seasons, Oprah won dozens of Emmys and had a viewership estimated at over 30 million. The success of that show allowed Oprah to form her own production company which in turn has lead to the creation of a monthly magazine and her own cable network. Imagine turning a family recipe into a fortune. That is exactly what Debra Fields did when she created Mrs. Fields cookies. At the young age of 20, Debra convinced a bank to lend her money to finance her business. The first Mrs. Fields opened in 1977 in Palo Alto, California. 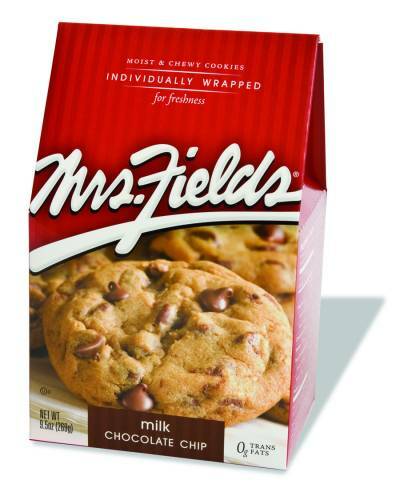 Flash ahead to the present and you’ll find there are over 600 Mrs. Fields franchise business with over 450 million in annual sales; all from cookies! Yes, Estee Lauder is a real person whose brand now controls close to 45% of the cosmetics market in the United States alone. All of this began as Estee learned from her chemist uncle John the basic components of cosmetics. Her first line of cold cream was sold at a counter in Saks Fifth Avenue. Estee Lauder also sells products in 118 countries with $3.6 billion in sales.